Shifts educational focus from secondary to primary sources. Traditional classroom teaching uses textbooks, lectures, video and the internet as instructional tools. The Outdoor Classroom exposes students through direct experience to nature areas and demonstration models such as weather stations, water flow systems and renewable energy installations. Uses experiential teaching methodologies to engage students. The Outdoor Classroom fosters active, hands-on, inquiry-based learning in a real world setting. Through group problem-solving activities students embrace the learning process as well as seeking final outcomes. Makes learning a multi-sensory experience. By engaging the senses of touch, smell, hearing, taste and seeing, students retain an intimate physical memory of activities that are long lasting and synergistic. E. O. Wilson’s Biophilia Hypothesis reminds us that the human species, having evolved in the natural world, has a deeply-rooted need to associate and connect with nature. Fosters the use of systems thinking. As a mini-ecosystem, the Outdoor Classroom emphasizes the interconnectedness of all things. Through exposure to the intricate web of life, students come to understand that complex natural and societal systems often require holistic rather than linear solutions. Lends itself to inter-disciplinary studies. In seeking a holistic understanding of the outdoor classroom it is often necessary, and desirable, to employ multiple academic disciplines. Laying out a planting bed requires math skills. Distinguishing native from non-native plants provides an opportunity for social studies. Creating a scarecrow is an art project. A garden journal will foster writing and drawing skills. Recognizes and celebrates differing learning styles. As popularized in Howard Gardner’s Theory of Multiple Intelligences, people have a variety of aptitudes and ways of learning. Although some students thrive in a text-based environment, others will benefit from a more experiential approach. For example, ESL students, SPED students, and students where reading is not prioritized at home – those that comprise the so-called Achievement Gap – may contribute more in the Outdoor Classroom. Connects the school to the neighborhood and the world-at-large. Through learning and stewardship activities students come to understand that their schoolyard microcosm reflects global environmental issues. Proximity to the surrounding neighborhood often leads to service learning projects that emphasize social involvement and responsibility. Accessibility to the Outdoor Classroom provides opportunities for out-of-school time programming. High visibility and interest encourages local volunteerism. Design and installation is a modest capital expense. School systems often struggle with budgetary issues in prioritizing initiatives. The cost/benefit ratio for installing and sustaining an Outdoor Classroom is attractive and the goal of an Outdoor Classroom in every schoolyard is achievable. Projects a positive message about public education. Schoolyards can be degraded and unsafe or vibrant, dynamic school/community open spaces. Either way, we send a message to students and neighborhood about how much we value the education of our children. The Outdoor Classroom is a reminder that innovation is alive and well in public education. Blurs the boundaries between academic learning and creative play. Kids love the Outdoor Classroom. When a teacher asks who wants to go outside every hand is raised. Absenteeism goes down on Outdoor Classroom days. By preserving a child’s innate sense of curiosity and wonder we will foster active and engaged life long learners. Yes, learning can be FUN! It’s difficult for schoolyard activists to understand why green schoolyards are often considered “supplemental” or “nice but non-essential” to the core educational mission of our schools. To us, these dynamic and multi-functional green spaces are the best thing to happen to K-12 education since sliced bread. And frankly, sliced bread is not that great by comparison! 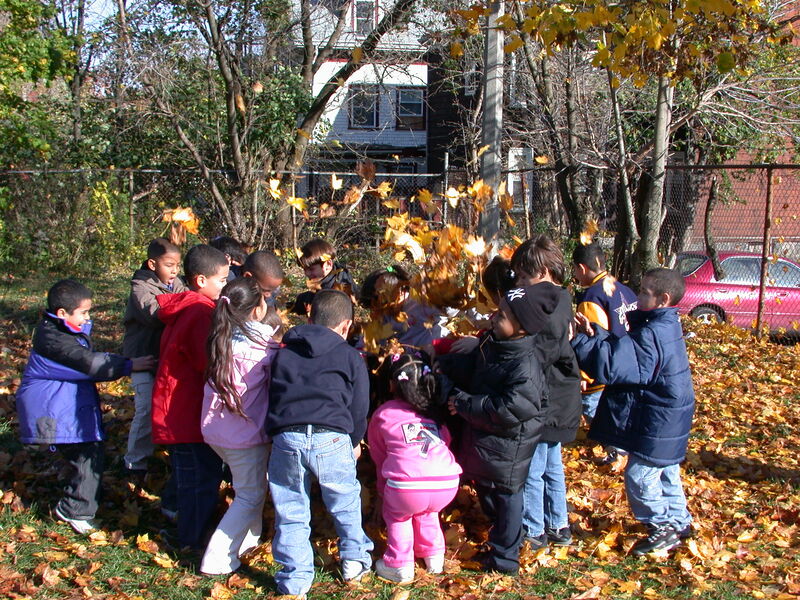 A typical green schoolyard serves three primary functions, each of which, we believe, are important parts of educating the whole child. Recreation & Fitness – Traditionally, school grounds have been used for recess and after school sports. 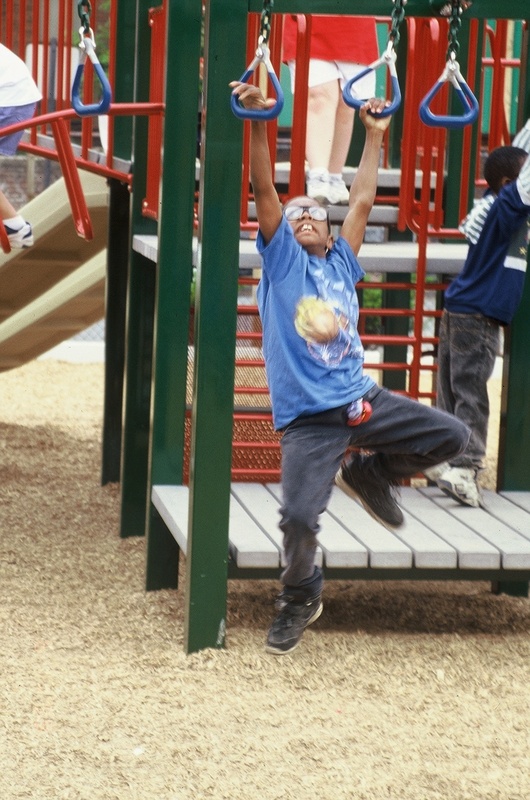 Ball fields and courts, play structures, tracks, and various creative types of exercise stations help contribute to a healthy body and, in turn, help develop a healthy mind. Ask any teacher how productive their students are when deprived of recess. Ask yourself how productive you would be at work if you could never leave your desk. Schools cutting back on recess are making a big mistake. Teaching & Learning – We all have different learning styles and while some of us thrive on “book learning”, some of us don’t. As Howard Gardner outlined in his Theory of Multiple Intelligences, people have a variety of aptitudes and learn in a variety of ways. Experiential learning takes a hands-on, learn-by-doing approach that resonates with many learners. In the indoor classroom, students are exposed to key concepts through reading, online research, call and response with their teacher and class discussion. 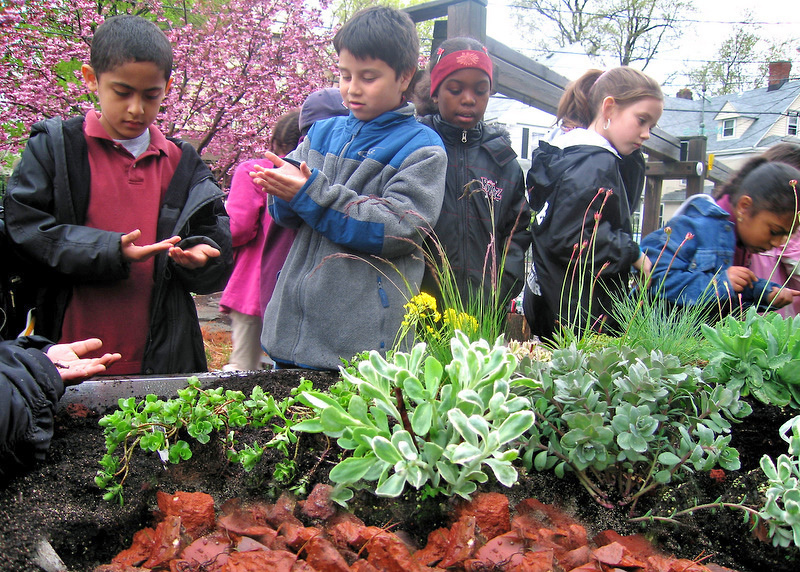 In an outdoor classroom, which may include food gardens, wild habitat areas, water flow systems, renewable energy demonstrations, bird feeders, compost bins and more, students use all of their senses, interact with primary source materials, engage in group data collection and problem-solving and learn the fundamentals of systems thinking. A school without an outdoor classroom is missing the opportunity to reinforce key concepts with hands-on activities in a real world setting. Social Gathering & Community Building – Young people need to hang out, play, interact, be constructive, resolve conflicts and make friends in a safe (and sometimes supervised) social setting. The schoolyard is a safe open space (when parks are sometimes not) and is literally the common ground between the school and the surrounding community. When a green schoolyard is put to its highest use, it is being used by before and after school programs, summer camps, and during off hours by neighborhood residents. Great synergies are often attained when these various groups communicate with each other. And, of course, kids sometimes learn as much through creative play as they do through formal classroom instruction. When the teacher asks the class, who wants to go outside, every hand goes up. When one observes students engaged in outdoor learning their energy and curiosity is palpable. These are not students burning out – these are students in the process of becoming life long learners. Reduced class size. Longer school days. Accountability through testing. Better teachers. Managing the drop-out rate. Dealing with unions. Remedial programs. Special education and ELL students. Safety in school. The list goes on…….we know public education is in dire straits and that there are many brilliant minds and kind hearts trying to find solutions to a complex set of problems. But let’s look for a moment at the end user who should be the focus of all this attention – The Child. What motivates a kid to learn? Perhaps it’s sitting all day listening to an adult telling you to go to page 57 and read a paragraph or work out a math problem. Perhaps not. Maybe it’s memorizing facts and figures (It’ll be on the test!) about a distant time before your grandparents were born. Maybe not. It seems to me that kids are ACTIVE and SOCIAL beings that have an INNATE CURIOSITY about the world around them. We should be using these attributes as a springboard into the wonderful (yes, wonder full) world of learning. A green schoolyard dispenses with the chairs, desks, walls, ceiling, chalkboards and just about everything else found in the indoor classroom. It is an open active space that is asymmetrical and sensory-rich with things to touch, smell, hear, observe, and, yes, taste. It is a patch of land surrounded by a real world neighborhood. It seethes with possibilities and beckons children to embark together on a journey of discovery. The teacher can even come along. So, we’re sitting on a boulder in a corner of the schoolyard. This boulder is part of a crude circle of rocks that reflect local geology. In fact, the school building itself was partially constructed from this same type of stone. The heavy rocks were quarried by immigrants that came from another country to start new lives here (just like many families today). Can we see any other buildings in the neighborhood built with the same kind of stones? How come the new school annex has been built with other materials? Wait a minute, what is a rock, anyway? We take out our hand lenses and begin to take a REALLY close look at our collection of rocks. What are these little sparkly pieces? Why is this one bumpy and this one is smooth? Look at all the bugs under this one? We are engaged in learning. It is not particularly linear, or organized in the traditional way, but it is interesting and has raised many questions. Now, the teacher can take a bunch of curious and excited students back inside to use their texts or the internet to assist in finding answers. We have entered the school garden. We pick some mint leaves and put them in water jugs in the sun. Later we’ll drink solar-heated mint tea. We wonder why the dwarf pine tree has kept its needles while the apple tree is losing its leaves. We pick up the leaves and add them to our compost pile. A monarch butterfly hovers around our milkweed plant and a big crow perches on the fence post. Our wind-driven pump helps to send water through the irrigation channels we’ve dug. The wind dies down and the flow of water stops. Our scarecrow, that everyone agrees looks a little like the Assistant Principal, sighs as the crow alights on his head. We laugh and just feel really good….this is fun! I’m sitting at the top of the slide looking at the colorful mural painted on our school. It’s just like a picture in a storybook but 1000 times bigger. I helped paint the ships sailing off to sea and a little bit of the dancer with a torch. I could gaze and dream forever but Willie is pushing me down the slide now. We spend alot of time running around like crazy because we can’t move around in class. Alright, enough with the vignettes, but I hope you catch my drift. An active and multi-functional schoolyard doesn’t have to REPLACE the indoor classroom but can ADD to the overall mission of our schools – educating the whole child. After all, it’s not as if we have to buy the land – we just need to use what we have creatively. Educators and schoolyard activists can tell you that student engagement in the outdoor classroom is the LEAST of their worries. Kids love to be outside doing stuff. Why not take advantage of this friendly learning environment to further our educational goals and objectives. Smaller class size and longer school days? Sounds like a good idea to me. But let’s make sure that our kids want to be there. Let’s mix it up and offer different approaches to instruction that embrace our childrens many different learning styles. Some people hate their jobs. Others can’t wait to get to work. Public education should aim for the latter. This short video was produced by Ross Miller and Maura Cunningham at the Thomas Gardner Elementary School in Boston. Wouldn’t it be great if all kids had an outdoor classroom in which to play and learn. In an age where high stakes testing has become the norm, educators and parents are looking for ways to increase performance of students while helping students decrease stress. Interestingly, Parrish (2009) found that simply by participating in an outdoor education program, or learning in the out-of-doors, students demonstrate an increase in test scores versus their peers who did not get an outdoor experience. Additional achievement has been shown in schools that have green school grounds. According to Bell (2006) not only do students perform better on tests, but there are also fewer documented behavior problems, lower exposure to toxins for students and staff, and reduced absenteeism. Canaris (1995), Clayton (2007), and Kaplan (1973) are among many researchers that have found links between time spent in gardens and an increase in motivation, positivity and feelings of enrichment. According to Gross and Lane (2007) outdoor activities such as gardening can be an escape for people who are showing sings of stress. Research done by Taylor et al (2001) show that there are positive benefits to inner city youth from access to green spaces for play. Specifically, their study focused on the fact that children who played in green spaces were more able to self-discipline appropriately, thus resulting in less stress overall. Another study concerning green spaces was completed by Wells and Evans (2003) which focused on rural children and the fact that nearby nature was shown to reduce stress levels. Wells’ study found that even a ‘view of nature helped reduce stress among highly stressed children’. These two studies are interesting in that both show positive benefits due to nature for children regardless of whether their environment was rural or urban. As any teacher can tell you, school can be a source of stress for students and staff alike. Because the school environment can be so stressful, the addition of an outdoor space which doubles as a classroom is something that could benefit countless students. The idea of immersing children in nature in order to help them develop appropriately is cyclical. If a child is allowed to spend time in the out-of-doors they will have a better chance of developing with less stress surrounding them. If they have developed appropriately, then they will be more likely to have the ability to think logically and compassionately, and will have developed some connection to nature. If they have a connection to nature, then they will feel more of a sense of ownership towards it, and will be more inclined to want to spend time in it, thus ensuring that the calming effects continue throughout their life. 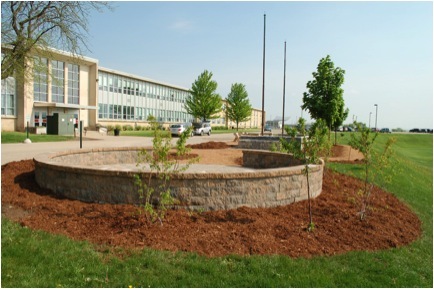 With this in mind, an outdoor classroom and garden was installed at Waukesha South High School in Waukesha, Wisconsin. 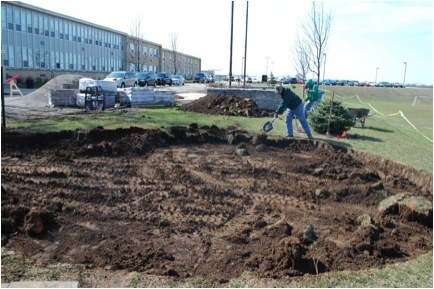 The garden was installed on Earth Day 2013 and will continue to be part of the high school for years to come. 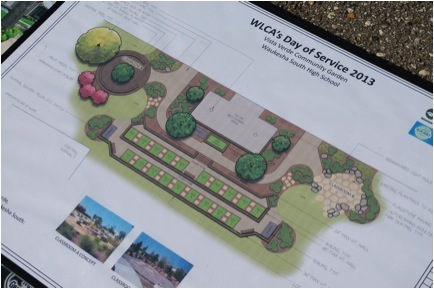 The goal was to provide a green space for teachers and students that could be incorporated into the curriculum or that could be used to simply enjoy nature. 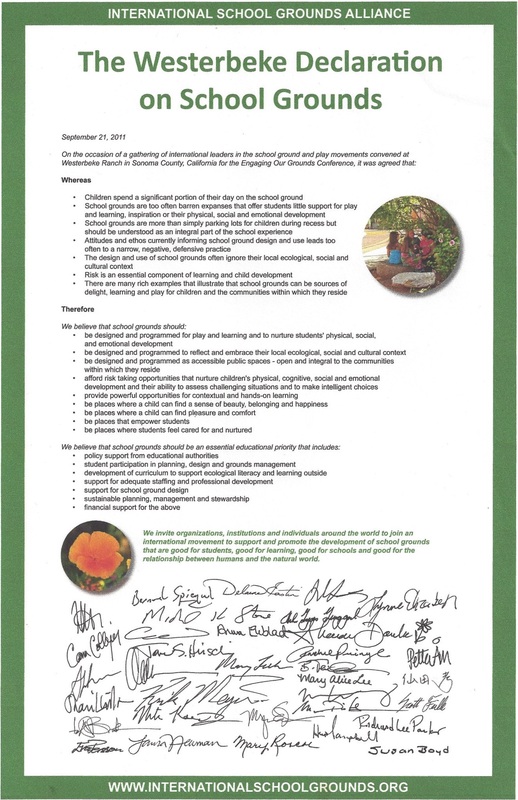 The outdoor classroom and garden was proposed primarily because of the overwhelming data showing how green spaces in schools help with learning, motivation and behavior of students. Another unforeseen benefit of the outdoor space was that it could also contribute to overall cohesion of the school. 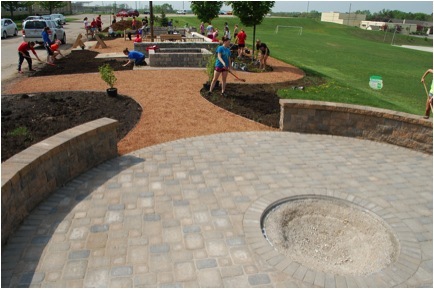 Our intention was to have students and staff involved in multiple aspects of the garden. The psychology class, for example, expressed interest in planting herbs to study their effects on the brain. Science classes can analyze soil and observe native plants and their pollinators. Classes can simply go outside to read or have discussions. The idea was to connect students and teachers to the same green space in order to foster a general feeling of connectivity and learning. A study by Hoffman et al (2007) showed a very clear benefit to having a garden on school grounds. According to Hoffman et al, results of the study “suggest that when a learning institution provides mechanisms for students to contribute to the overall quality of the institution (such as a campus gardening program), a sense of interdependency and positive self-empowerment develops among faculty and students”. The very first thing to consider is whether or not the district, school board, and your administration will approve of the idea. It is best to begin by including, at the very least, your administration in the initial planning discussions. It could save you a great deal of time and heartache to find out that an outdoor classroom or garden was not an option before you began the process rather than finding that out after you had begun to put your heart, and rare free hours, into the idea. Depending on the district, you might need to formally propose the idea to the school board and get approval before breaking ground. Because each district varies in their approaches to and protocols for these kinds of projects, it is best to secure their approval before the planning goes any further. If a trip to the school board is in store for you, you will want to know the proposed location of the classroom or garden, a rough estimate of the budget, fundraising options, specific ways in which the garden can be incorporated into various curriculum, types of plants that will be included, and the people who will be responsible for the outdoor space during the entire year. This is not an exhaustive list of what each district might want to know before granting approval, so make sure you check on additional requirements before making the proposal. A relatively easy addition to your board presentation that could make a big impact would be to include the results of a staff survey regarding the garden. A survey of the school staff can help you get an idea of what they think of the garden and how likely it would be that they would support you in your goal. Getting the staff behind you will help you with every stage of the installation, particularly if they feel some personal connection to the idea themselves. It would benefit you to do some legwork and collaborate with different members of the staff in order to get their opinions. Ask teachers how they would like to use an outdoor space with their students and how they feel it could be incorporated into their curriculum. If you can make the connection to the outdoor space’s value to the curriculum and learning, and know that the teachers saw that connection, you will have a better chance of convincing the board of the high value to this outdoor space. If your administration is on board, another idea would be to get the whole school involved in the initiative. Perhaps each department or grade level could take a different role on in the project. Some things that can be delegated include the creation of plant markers or signage, building of content specific curriculum that incorporates the outdoor space, fundraising, event planning to bring awareness to the space, assistance in finding donors of plants, hardscape, labor, materials, and time, and the building of a calendar showing who will care for and/or use the garden during specific time periods. If you teach at a middle school or high school, don’t forget to utilize the content areas. The Business classes can develop a name and logo for the space to be used throughout the project. The Art and Technical Education departments can make ceramic tiles to be placed in the area or bird houses to be installed. The English department can have students write nature inspired quotes that can be written in the space. The Social Studies department can have their students research and report on nature or conservation minded individuals who have preserved outdoor spaces, like John Muir or Aldo Leopold. If you are creative, there are countless ways to involve all of the departments, grade levels, staff, and students in your school. The importance of fundraising should not be overlooked. Gardens and outdoor classrooms can be done with varying budgets, however most will need at least some start-up money. While local businesses, staff, and parents may be able to donate much of what is used, remember that what is not given through donations must be purchased. Fundraising should be started well in advance of your proposed installation date. If your administration approves, you can always do a penny drive in the classrooms, sell t-shirts using the logo created by students, or hold a celebration concert to help raise money. Many local nurseries will agree to do plant sales at schools, and will sell the plants at cost to the school and may even donate materials or time to the outdoor space. After fundraising has begun, it is important to make a plan for how the space should not only look but also be used. An important consideration would be to decide if you want to have a space that could be used by more than one class at any given time, in which case, you would need to design accordingly. Having a space that is multidimensional lends itself to cross-curricular usage. For example, part of the garden can have a hard scape for students to sit and participate in discussions, while another part could have plants native to your area that the students could walk between and investigate, while still another area could be a vegetable garden or small orchard that students could tend and harvest throughout the growing season. Local nurseries and landscaping companies are often more than happy to provide wisdom and design ideas if asked. Once support has been secured, a plan has been put into place, and appropriate fundraising has occurred, it will be time to break ground, install raised garden beds, or simply plant. Make sure to check on temperature and sunlight needs of your chosen plants to ensure that they remain healthy. As with any new garden, you will want to make sure someone is on hand to water it frequently at first. Close proximity to a water source, or the ability to obtain water another way, is of paramount importance. Do not forget to involve students at this stage, as it is easy to start feeling overwhelmed with all of the plants in the ground. As soon as you have everything in the ground, you really are ready to start enjoying the space. What you do with it will depend on your creativity, commitment, and interest levels. Installing an outdoor classroom or garden is a significant undertaking, but will pay off in dividends if you are really committed to seeing the job though to the end. Never underestimate the importance of involving others in the project, it will not only help you but it will also provide others with a sense of ownership and accomplishment. Good luck as you embark on the journey to greening up your school! 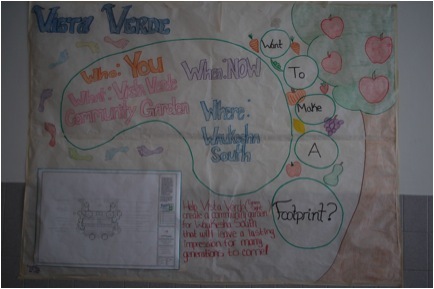 Picture 1: Student made signs decorated the school during the initial phases of the garden project. 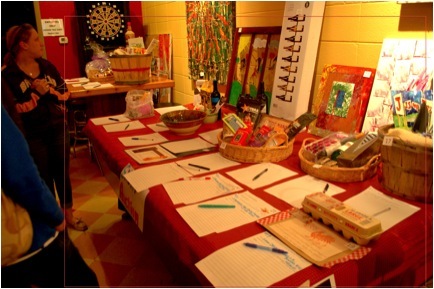 Picture 2: Part of our fundraising efforts included a silent auction. 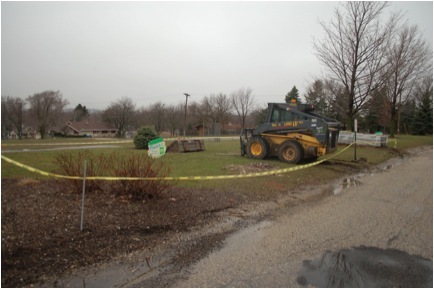 Picture 3: This is the first day of construction for the garden and outdoor classroom. Picture 4: Donated hardscape was delivered on pallets prior to the installation. 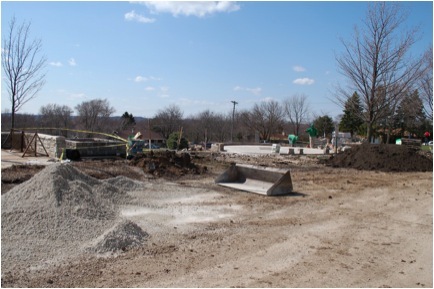 Picture 5: The outdoor classroom area takes shape. 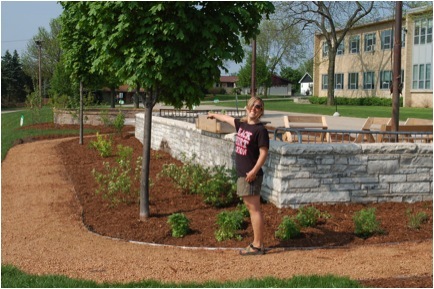 Picture 6: The garden design was donated by Piala’s Landscaping, Waukesha, WI. Picture 7: Do not be discouraged if things get messy! Everything will work out in the end. Picture 8: On planting day the school sports teams were enlisted to help throughout the day. Picture 9: The Native Wisconsin Plants section is complete! Picture 10: The outdoor classroom and raised garden bed are complete! Canaris, I. (1995). Growing foods for growing minds: Integrating gardening and nutrition education into the total curriculum. Children’s Environments, 264-270. Clayton, S. (2007). Domesticated nature: Motivations for gardening and perceptions of environmental impact. Journal of Environmental Psychology, 27(3), 215-224. Gross, H., & Lane, N. (2007). Landscapes of the lifespan: Exploring accounts of own gardens and gardening. Journal of Environmental Psychology, 27(3), 225-241. Hoffman, A. J., Knight, L. F. M., & Wallach, J. (2007). Gardening Activities, Education, and Self-Esteem Learning Outside the Classroom. Urban Education, 42(5), 403-411. Kaplan, R. (1973). Some Psychological Benefits of Gardening. Environment and Behavior, 5(2), 145-162. Taylor, A.F., Kuo F.E. & Sullivan W.C. (2001). Coping with ADD: The Surprising Connection to Green Play Settings. Environment and Behavior 33(1): 54-77. Wells, Nancy M. & Evans, G. (2003). Nearby Nature. Environment and Behavior 35.3, 311-330. Brynjegard, S. (2001). School Gardens: Raising Environmental Awareness in Children. Parmer, S. M., Salisbury-Glennon, J., Shannon, D., & Struempler, B. (2009). School gardens: an experiential learning approach for a nutrition education program to increase fruit and vegetable knowledge, preference, and consumption among second-grade students. Journal of nutrition education and behavior, 41(3), 212-217. Priest, S. (1986). Redefining outdoor education: A matter of many relationships. The Journal of Environmental Education, 17(3), 13-15. I would like to thank Project Dragonfly staff and students for their guidance and support throughout this experience. 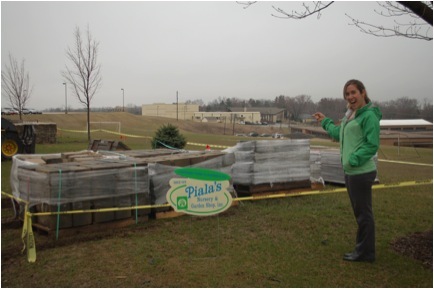 A big thank you goes to Piala’s Nursery in Waukesha, Wisconsin. Without your help, the garden would till be just an idea. I would also like to thank Aaron O’Connell, Spanish teacher at Waukesha South High School, for stumbling through this experience and never giving up on the dream of more green space for our community. Last, but not least, I would like to thank all of the Waukesha South Students who poured their hearts into making this dream a reality.